JDS Aluminum Scale Series 17" Star style Drag Racing front wheels with O-Ring Rubber. Hub diameter is .735" with Rubber installed finished size is .895". 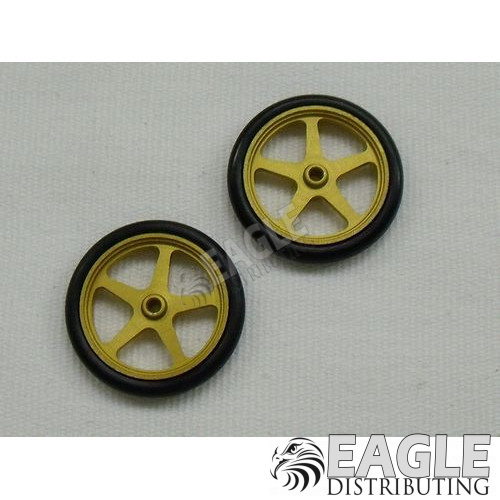 The wheels are CNC Machined from aluminum and have an anodized gold finish.